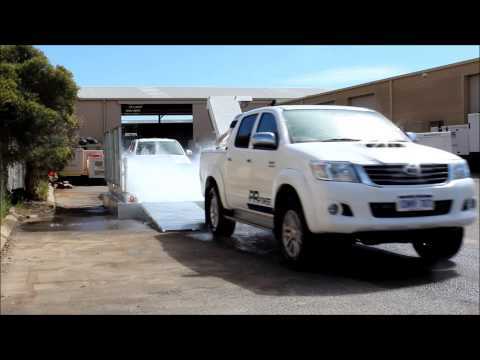 Available Australia wide, the PR220 Truck Wheel Wash is a new innovative all in one system which excels in dirt & grime removal. Capable of washing high volumes of vehicles in environmentally sensitive, construction, land fill and mining applications. See brochure below for more information. Up to 20 Tonnes on each axle load. The unit accommodates for a large range of vehicles and can handle up to 200 trucks per day, its compact automated design possesses a small unit footprint. Being an all in one automated system extensive savings are made on operation and maintenance fees.